One of the things you need to know when building a steel structure is whether you need a permit. Local building authorities may require a permit, and if that’s the case, you will have to purchase a Certified building. Certified buildings include engineered stamped approval blueprints required to obtain a building permit. Even if you are not required to obtain permits in your area, there are many reasons why you should choose an upgrade to Certified. Not only is a Certified building designed to meet local codes, but certification also relates to the weather that the structure can withstand. High winds, heavy snow, and extreme conditions are all taken into account with the engineering of your structure. The certification makes for a much stronger, safer and more durable structure. By upgrading to a Certified building, you will also receive mobile home (auger) anchors for ground installation. Mobile home anchors are stronger than the standard pin anchors used on an Non-certified building. Auger anchors are available on non-certified units as well for an additional fee. 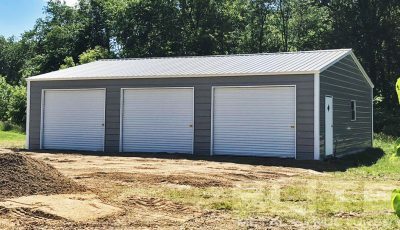 Non-certified steel buildings come standard with knee braces on four corners, and a channel peak brace. The Certified structure will have a peak brace on every bow and knee braces on every leg. 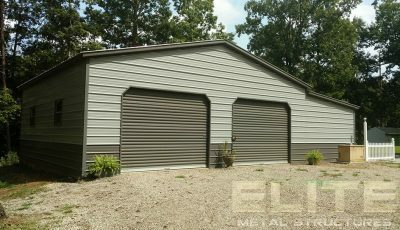 A Certified steel building also offers warranty benefits. 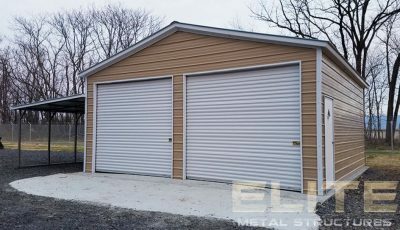 For example, a 14 gauge non-certified building carries a 30 day workmanship warranty. Certifying that same building gives you a minimum wind rating of 130 mph, and is snow rated starting at 35 lbs/sf. and a 1 year workmanship warranty. 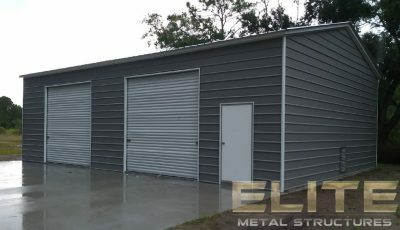 A 12 gauge non-certified building comes with a 20 year rust-through warranty. Certify that 12 gauge frame, and you’ll have a 20 year rust-through warranty, as well as a wind and snow load ratings. 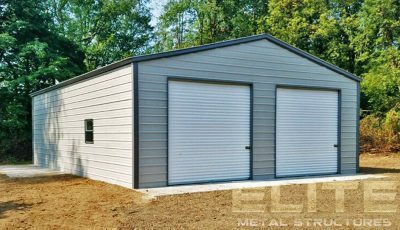 Whether you need a permit or not, Elite Metal Structures recommends that you Certify any structure that is over 24 feet wide, 31 feet long or has legs 8 feet or taller. 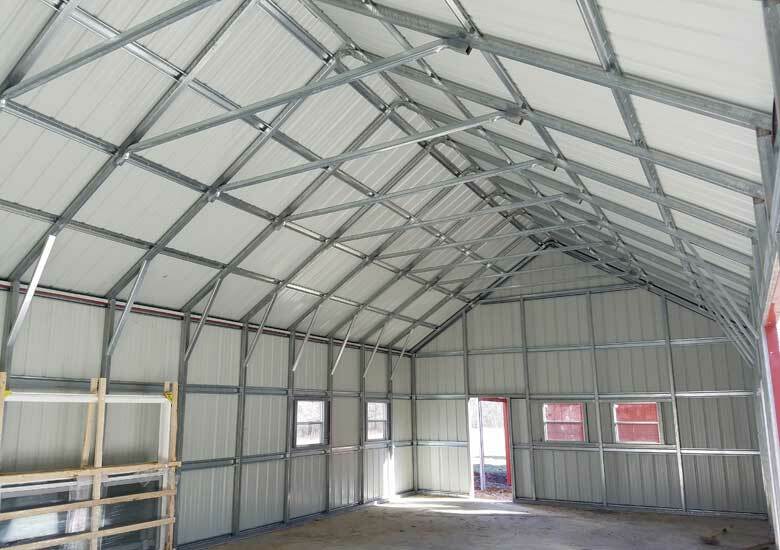 The extra bracing and anchors will give your building the support it needs to last you for many years to come. For smaller buildings, upgrading to a 12 gauge Certified will be a relatively small increase in cost. For the added benefits, it will be well worth your money.